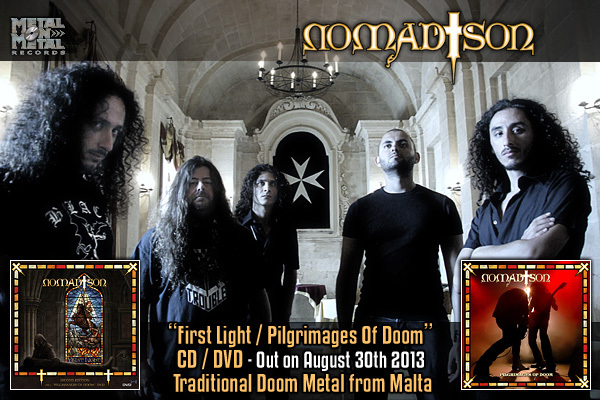 "FIRST LIGHT / PILGRIMAGES OF DOOM"
The sold-out debut album of these Maltese traditional doom metal masters is now re-released with over 2 hours of exclusive DVD material "Pilgrimages of Doom"! It contains pro filmed and edited multi-camera footage from the band's gigs at the HAMMER OF DOOM VI and DOOMSDAY IV festivals (both 2011), and bonus material: excerpts from other shows (HOA warm-up show 2009 and DOOM SHALL RISE 2010), interview, a song from Maltese TV program and a slideshow. Formed by the bassist Albert Bell of FORSAKEN fame, NOMAD SON is a '70s tinged (Hammonds!) doom band drawing influence from the trailblazing sounds of BLACK SABBATH, PENTAGRAM, TROUBLE, CANDLEMASS and SAINT VITUS. Doom is not dead - see and hear for yourself checking this molten slab of HEAVY music... The versatility of moods and tempos will not let you fall asleep - instead it can make your head bang more than once 'cause they know what "uptempo" means! A truly addictive stuff. Formed in early 2006, doom metal band NOMAD SON brings together the creative forces of Jordan Cutajar (vocals), Chris Grech (guitar), Julian Grech (keyboards), Edward Magri (drums), all members of FRENZY MONO (one of Malta's most prolific heavy rock bands), and Albert Bell - a veteran of the Maltese metal scene and bassist of FORSAKEN (established in 1991 and now at the forefront of the European doom scene). The inception of the band owes much to Temple Studios owner and music production guru David Vella. While FRENZY MONO were recording their debut album "Unorthodox", David deciphered another, darker and meaner dimension to the band which could be nurtured to develop into a doom metal oriented project, distinct from the traditional rock edge of the guys' musical endeavours to date. One phone call away, Albert Bell responded to David Vella and FRENZY MONO's invitation to team up for a studio recorded jam, which resulted in two molten, raw, Hammond-driven, doom-laden tracks in one afternoon session! Enthused by the result of this session, the strong vibe that each of the guys felt during their jams, and moreover, mutual respect for each member's creative abilities, the guys continued to rehearse and build their repertoire in between meeting their commitments with their main bands. What had simply started as a studio jam/project - NOMAD SON - has now developed into a fully-fledged doom band with a characteristic sound influenced by BLACK SABBATH and other '70s classic bands, '80s heavy metal and milestone doom acts such as TROUBLE, PENTAGRAM, SAINT VITUS and CANDLEMASS. In the fall of 2007 NOMAD SON played live for the first time, at Doom Nite, together with FORSAKEN and UNSILENCE. 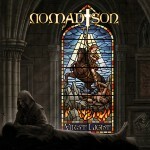 In December 2007 the newly started Metal On Metal Records, upon hearing the 2 demo tracks, immediately offered NOMAD SON a deal for releasing their CD. The band's debut album "First Light" was recorded in March 2008 and released on July 19th 2008. It came like an earthquake upon the unexpecting doom fanatics worldwide, instantly gaining fantastic acclaim. A molten slab of addictive, apocalyptic, heavy doom metal with a '70s dark touch was forged in the small isle of Malta. Apart from encouraging sales worldwide, the international metal press' reaction superseded expectations, with the album described as a ground-breaking effort in doom metal circles by leading metal web and printed zines. Various tracks from the album also appeared in a number of compilations featuring metal bands worldwide, like the "Metal Crusade" vol. XVII sampler of one of the most important German metal magazines, Heavy. 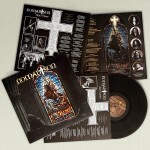 A limited vinyl edition of the album was released co-jointly by Metal On Metal and France's Emanes Metal records exactly one year after the CD version, in July 2009. 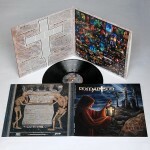 The band embarked on a mini European tour titled "The Light of Doom" tour in the same month to commemorate the vinyl edition's release. The tour saw NOMAD SON hitting various cities throughout Germany and the Netherlands and also included an appearance at the highly-acclaimed Headbangers Open Air warm-up show in Itzehoe, Germany. 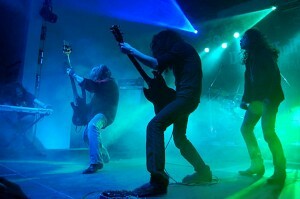 This series of foreign gigs continued to consolidate the band's reputation as a solid, non-comprising live act as also evidenced by many local gigs at packed clubs, including Malta Doom Metal Assault in May 2009, at which they shared stage with FORSAKEN and DARK QUARTERER among others. 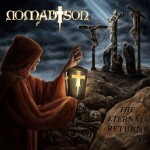 NOMAD SON's unrelenting efforts since their inception were recognized at the 2009 Malta Music Awards held in November 2009 at the MFCC in Ta' Qali where the band were nominated for Best Album, Best Heavy Metal Band and Best Album Artwork. Following the second edition of the Malta Doom Metal Assault in February 2010, in April this year NOMAD SON featured at the 7th edition of the reputable Doom Shall Rise festival in Goeppingen, Germany, alongside acts like ISOLE, THE 11TH HOUR, DOOMSHINE, SEAMOUNT, MIRROR OF DECEPTION and many others. The band's performance at DSR was very positively received by those present and continued to highlight NOMAD SON's ability to mesmerize audience with their ferocious brand of heavy doom metal. In June the same year they were chosen to support PARADISE LOST at Mediterranean Metal Gathering in Malta, so a big crowd of headbangers had the chance to experience the irresistible, crushing power that NOMAD SON bring forward. Meanwhile, in April 2010, the band entered Temple Studios again and with Malta's sound engineering guru David Vella at the helm, recorded the second and much awaited album "The Eternal Return". Their sophomore effort saw the light of day on July 16th 2010 and brought dark, Hammond-driven, ominous heavy doom metal tinged with epic and obscure soundscapes - the perfect tapestry for the band's take on the spiritual, social and moral decay afflicting humankind in today's unrepentant world. NOMAD SON won the Best Heavy Metal Band and Best International Achievement awards at the Malta Music Awards in November 2010. Other 2010 achievements worth mentioning are: "The Eternal Return" being voted the Best Doom Metal Album of 2010 (with 246 votes out of 559 voters) on Delaware's SilenceSoLoud.com website and Album of the Year on Vampster.com (Germany) by doom master Frank Helweg (Doom Shall Rise Festival). After "The Eternal Return" CD release more NOMAD SON live performances followed: several gigs in Malta (including the annual Malta Doom Metal festival), headlining show at Pax Julia Metal Fest II in Portugal in October 2010 (together with DAWNRIDER, WILD and PRAYERS OF SANITY) and in February 2011 a 3-days headlining UK tour with MORTALICUM, THE PROPHECY and IRON VOID, including Doomsday IV festival in Wakefield, together with IRON HEARSE, ARKHAM WITCH, just to mention the more important names. On October 29th 2011 NOMAD SON got to play at the second most important and biggest doom festival (besides Doom Shall Rise): Hammer of Doom in Wuerzburg, Germany. They shared the stage with MANILLA ROAD, FORSAKEN, DOOMSWORD, THE 11TH HOUR, LORD VICAR, ORCHID, BATTLEROAR, YET SO FAR, BLOOD CEREMONY and several other bands. One week later NOMAD SON played at the Malta Doom Metal festival, together with PAGAN ALTAR, FORSAKEN, ARKHAM WITCH, OFFICIUM TRISTE, MIRROR OF DECEPTION, TEMPLE OF PAIN, FOCUS INDULGENS, VICTIMS OF CREATION, VOID MOON, MOUNTAIN THRONE, FANGTOOTH and GRIFFIN DEVICE. Coinciding with the band's appearance at the much feted Hammer of Doom festival in Germany, on October 28th 2011, "The Eternal Return" was released co-jointly by Metal On Metal and Emanes Metal on vinyl, as gatefold LP. On the same day Metal On Metal Records re-released the band's sold-out debut "First Light", however not alone, but on DVDplus format together with "Pilgrimages of Doom" DVD. Get ready for a true doom metal feast with over 2 hours of exclusive material showing the band on 4 stages between 2009 and 2011... enter the domain of NOMAD SON's world of apocalyptic, heavy doom! 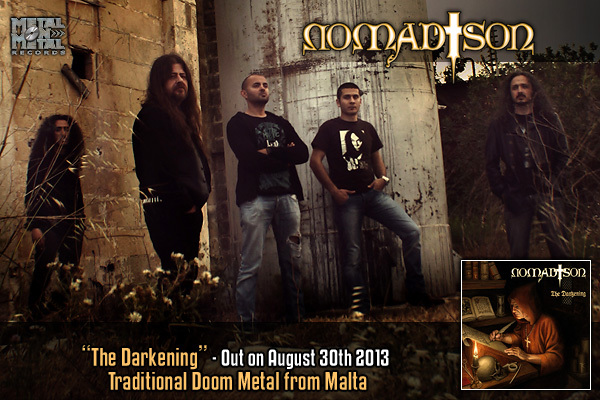 The Maltese doomsters from NOMAD SON have made a huge impact on the scene with their debut and live shows. Their 2nd album brings dark, Hammond-driven, ominous heavy doom metal tinged with epic and obscure soundscapes - the perfect tapestry for the band's take on the spiritual, social and moral decay afflicting humankind in today's unrepentant world. This soundtrack for the apocalypse has irresistible charm, especially if you worship TROUBLE, CANDLEMASS, KRUX, ABSTRAKT ALGEBRA, PENTAGRAM, SAINT VITUS, LAS CRUCES but also DEEP PURPLE or ATOMIC ROOSTER. Skeptics shall see you can bang your head to doom!